Buying Toronto Maple Leaf tickets is a big decision – for many people it’s a once in a lifetime event, for most others it’s a special occasion. That means that when you purchase your Toronto Maple Leafs tickets, you need to be able to trust in the source of your tickets. That’s where Ticket Centre comes in. Ticket Centre is a great choice for buying Toronto Maple Leaf tickets because you always pay in Canadian dollars, there are no hidden service fees, and we own a lot of our own personal inventory, which offers the best value. As a local source for Leafs tickets, we offer free local pick-up at our office in Etobicoke. 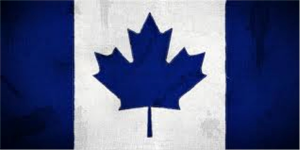 When buying Leafs tickets from us, you can rest assured that there are no surprises; we are a founding member of the Canadian Ticket Brokers Association and a member of the National Association of Ticket Brokers. Ticket Centre has been selling Toronto Maple Leafs tickets online locally for nearly 15 years – we offer fair shipping rates, great customer service, and the price you see is the price you pay (plus HST only). We pay taxes and support local charitable efforts, and if you phone us, a real person answers the phone and you will probably be speaking directly to the owner John, who is also on the executive for the CTBA. If you're looking to send a larger group to a game, would like to buy Leafs tickets for several future games, or you'd like to do something unique (like procure an Executive Suite or a table overlooking the ice at the Air Canada Club), then give us a call today!